Copenhagen Games have officially announced their prize pool, venue location, and format for this year’s Team Fortress 2 LAN tournament. The tournament is officially sponsored by L33T-Gaming TF2. L33T-Gaming is a European manufacturer of high-end gaming chairs and tables, as well as mouse mats and other accessories such as backpacks and more. L33T-Gaming TF2's sponsor statement can be found on the Copenhagen Games Esport Festival website here. The event will take place from April 17th to 20th, at Lokomotivværkstedet in Copenhagen, with 210 seats available in the tournament and a €12,000 prize pool up for the taking. The event will be produced in association with Phoenix Red. Specific talent such as commentators, producers, and observers will be announced at a later date. The tournament is split into two game modes: a 6v6 tournament and a Highlander 9v9 tournament. Both the 6v6 and Highlander tournament are split into two parts: a round robin stage, and playoffs stage teams that move onto a double elimination playoffs bracket. Please note the tournament page on Copenhagen Games' official website has not updated this information as of yet, and these are the confirmed numbers by CPG TF2 staff. The information on the site states that final details of the tournament are subject to change, depending on how many teams will be signing up. The 6v6 Toornament page can be found here. The Highlander Toornament page can be found here. The prize pool for the tournament is €12,000. Prize pool split between 6v6 and Highlander, as well as distribution for the top final placements, is to be officially announced at a later date. 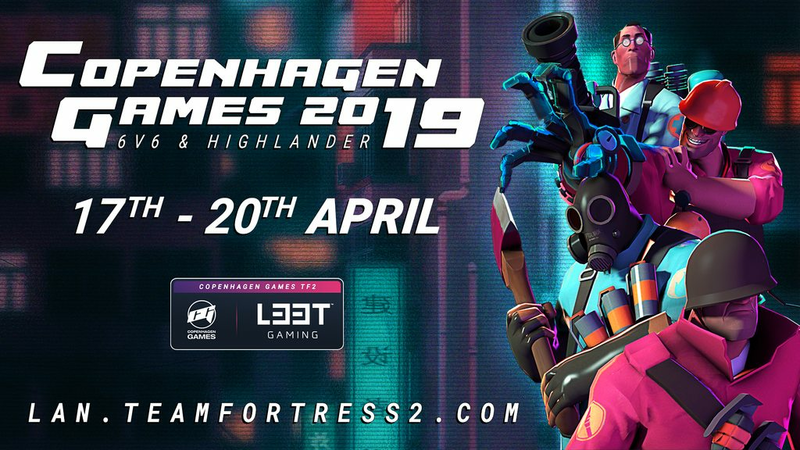 Please note these are the confirmed times from CPG TF2 staff, and schedules on the official Copenhagen Games website as well as the TF2 LAN website are yet to be updated to match. All times are in CEST. Official rules and regulations for the tournament can be found on the Copenhagen Games tournament page here. 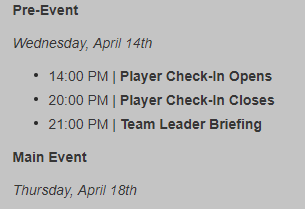 More information such as mandatory meetings for team leaders can be found on the official Copenhagen Games website here. Additionally, the CPG TF2 Tournament landing hub is available here. 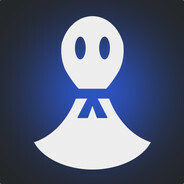 The official thread for Copenhagen Games TF2 LAN discussion & further updates can be found here. Cool banner. Good jobby soda. is there any news on rentals yet? Only 4 teams in invite is absurd imo, really hope that it can be expanded. Why is there going to be badlands at cph but logjam in etf2l this season, seems an unnecessary disparity, and logically should be logjam for cph as well? Scruff_Why is there going to be badlands at cph but logjam in etf2l this season, seems an unnecessary disparity, and logically should be logjam for cph as well? ETF2L and Copenhagen Games are independent from eachother. Logjam is in Europe fairly new (again), will have only been played for one season. In ESEA it was never in the rotation. We are still hoping to get an NA team over here, so having a map like Logjam in is kinda meh at this point. Also most teams at LAN are mix teams. For those it is much easier to get some co-ordination going than on an somewhat unknown map. Next year could possibly be a different story. AelkyrOnly 4 teams in invite is absurd imo, really hope that it can be expanded. even once they announce the 6s prizepool (soon/hopefully this week), you guys would be surprised how difficult it would be to get 8 teams committed to an event where it's all opt-in/teams pay for themselves. maybe there are 8 top teams of similar skill level (id be shocked if this were the case but let's pretend), good luck having their final roster and all travel sorted in time to announce and promote in any meaningful way. i actually think 4 is the smartest move here. edit: to clarify they do specify playoffs are open + invite, so 4 open and 4 invite for double elim- plenty chance for good enough teams to make it to playoffs. faint frenchies 7 ascent froyo mix lego svift? samifaceeven once they announce the 6s prizepool (soon/hopefully this week), you guys would be surprised how difficult it would be to get 8 teams committed to an event where it's all opt-in/teams pay for themselves. My bad then, I must have misread somewhere since I thought that Open and Invite would have no overlap whatsoever. I still think that bumping invite to 6 teams would be reasonable, but I've never organized a LAN so you probably should not listen to me. Thanks for clearing it up, I have faith this is going to be a great LAN regardless of the numbers of teams in Invite. [quote=samiface]even once they announce the 6s prizepool (soon/hopefully this week), you guys would be surprised how difficult it would be to get 8 teams committed to an event where it's all opt-in/teams pay for themselves. Still waiting for rentals, feelsbadman.